We’re only 1 month into 2018, but many businesses are already neck-deep in their plans to dominate the new year. How can they attract more customers, engage them in authentic ways and, ultimately, increase company profits? Just like in years past, email will play a crucial role in answering these questions. And with email marketing showing an average ROI of 122% according to Email Monks, it’s not hard to see why. But with so much to gain, competition is fierce. Every business wants a piece of the metaphorical pie and consumer inboxes are inundated with countless emails because of it. With that in mind, are there any specific techniques you can use to rise above your competitors? What are the emerging trends you need to know about and be prepared to implement? 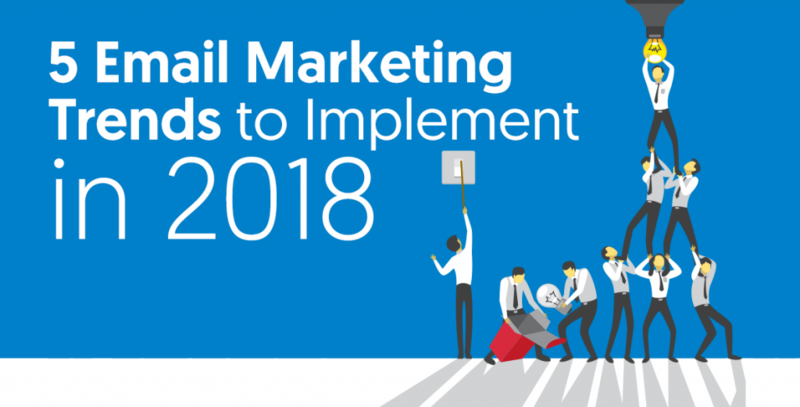 Basically, what can you expect in the world of email marketing in 2018? In this post we’ll explore the top 5 email marketing trends this year. Segmentation – the act of splitting up an email list into different groups based on demographics, purchase history, specific interests and more – is quickly gaining popularity in email marketing circles. And rightly so. Campaign Monitor estimates a 760% increase in revenue for marketers utilizing segmented campaigns! So why is segmentation so powerful? Simply put, modern consumers want a personalized experience and segmenting lists allows marketers to better customize their interactions with each of their individual customers. But properly personalizing an email marketing campaign goes far beyond segmenting your list into male and female categories and sending a targeted email to each, or even using a subscriber’s first name in the salutation. No, your customers expect more. Fortunately, modern technology makes it possible to give it to them. For example, using various forms of automation and artificial intelligence (which we’ll discuss in more detail in the next section), you can collect data on when each of your subscribers is most likely to open and read your email. Then you can automate your next email campaign to send at that specific time for each of the subscribers on your list. How’s that for personalization? When crafting your email marketing campaigns this year, remember that customers want to feel the 1:1 experience with brands and the company that is able to deliver that experience consistently, will win their business. So look for new ways to further segment your email lists. Instead of a segment for “female customers”, create a segment of “female customers who live on the West Coast” or “female customers between the ages of 25 and 34”. 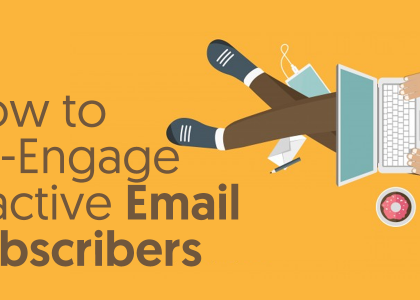 Doing so will allow you to better personalize your emails and ensure you’re sending the right content to the right subscribers. Automation and artificial intelligence (AI) both work to make your life as an email marketer easier and more effective. They also both help to personalize the experience for each of your customers as we talked about above. For instance, say a customer was shopping on your website, began the checkout process, but then abandoned their cart before making an actual purchase. You can automate a specific email sequence to trigger upon this scenario, encouraging the customer to finish their order. Artificial intelligence, on the other hand, does the behind the scenes work to make your email automation more successful. AI software can gather important data about your website visitors or email list subscribers including their purchase history, the time they’re most likely to open your email and even what kinds of content they prefer. Automation and AI are amazing, time saving tools that can really enhance the customer experience with your brand. If you’re unsure of where to begin with these technologies, we encourage you to explore the features in your current Email Service Provider. Just about all of them have some level of automation ability and may even have some AI features too. This shouldn’t come as a surprise, but the use of mobile phones isn’t expected to decline any time soon. Quite the opposite actually. Statista estimates that the number of smartphone users will rise in 2018 to 2.53 billion and each of them will spend an average of 3+ hours a day staring at their screens. With that in mind, it’s imperative that marketers be able to engage their audiences on mobile devices this year. For email, this means using single column templates, clear and concise imagery and text and using mobile friendly opt-in forms on web pages. It’s important to note that consumers are also purchasing from their phones more often – 62% of smartphone users have made a purchase using their phone in the last 6 months according to OuterBox. That means that marketers need to be prepared to accommodate the entire sales cycle on a mobile device. From the emails you send to the landing pages your emails link to, ensure every step in the customer’s journey is mobile friendly or risk alienating a huge (and growing) demographic. Depending on your brand, one of the best ways to improve the customer experience in 2018 may be to implement the use of interactive emails – emails that allow customers to engage with your content right from their inbox. By utilizing miniature games, sliding image galleries, quizzes and more inside your emails, you’ll be able to create truly custom experiences for your subscribers because they’re no longer just reading your content, they’re immersed in it! In the same vein, look to embedded content such as videos and even Instagram Stories inside your emails to help deliver a unique customer experience. This technique not only promotes interactivity, but also taps into the meteoric rise of video marketing. 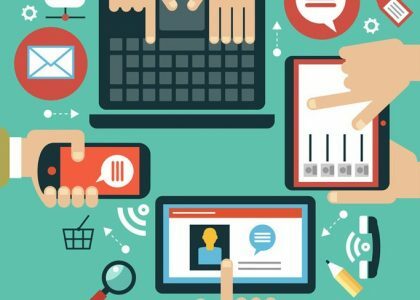 And with more companies (like Apple and Samsung) supporting HTML5, marketers can now utilize this technique to its full potential! On the other end of the spectrum, many brands have switched to plain text emails because they consistently see better deliverability and email open rates. They also seem more personal, which, I’m sure you’ve figured out by now, is an ongoing, prevalent theme in 2018. So how can we endorse both interactive emails and plain text emails at the same time? Doesn’t one have to be better than the other? The answer is it really depends on your brand, the preferences of your audience and the kind of company you run. We recommend using both and assessing which gives you better results. A/B test an interactive email vs a plain text one and measure the response. After multiple tests in different scenarios, you’ll be able to determine your winner. Thanks to CAN-SPAM in the United States and CASL in Canada, email marketing regulations have been in place for years. But with the enforcement of the new GDPR taking effect in the EU this May, there are definitely new rules every email marketer needs to be aware of. In a nutshell, the GDPR attempts to improve security and give EU citizens more control over their private data. Subscribers residing in the EU will now possess the right to have their personal data erased at any time as well as the right to know how their information is being used. And while you may be thinking that since your company isn’t located inside the European Union, this law doesn’t apply to you, think again. If you have any subscribers located within the EU, you must abide by these laws. The good news is that regulation really isn’t the enemy. The GDPR along with both the CAN-SPAM and CASL are designed to promote transparency and honesty. By requiring your subscribers to opt-in to your list, giving them the option to opt-out at any time, and acquiescing to their potential requests for information and data erasure, you’ll have no problem adhering to the regulations while providing a great customer experience at the same time. More detail on the GDPR can be found here. In conclusion, email marketing in 2018 really comes down to personalized experiences. All of the predictions above relate to this in some way. Your customers crave the feeling of one on one interaction and it’s your job to give it to them. From segmenting your list and implementing automation to ensuring your business is mobile friendly and follows each and every regulation to the letter, your focus should be on meeting your customer’s needs and providing memorable experiences for them. But that’s really nothing new, right? Successful businesses in the modern age ALWAYS put their customers first. The only things that change are the tools we use and the expectations our audiences have. So if you feel at all overwhelmed by the numerous softwares, analytics, tips, tricks and the like, take comfort in that. Now go give your customers an interactive, personalized experience they’ll remember and crush your email marketing in 2018!